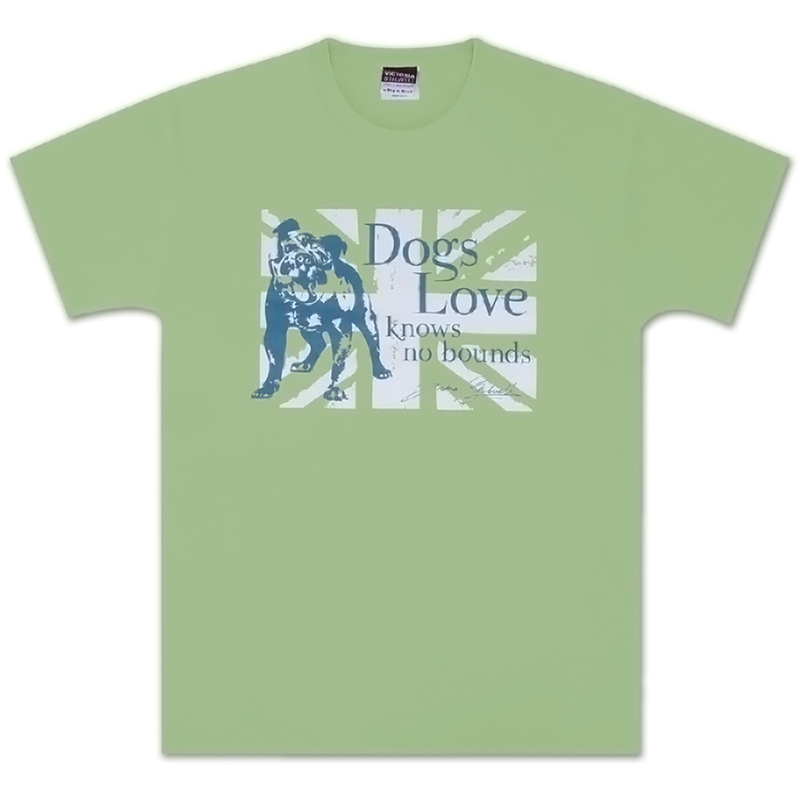 The "Dogs Love Knows No Bounds" unisex tee is is stylish and durable. Made of 100% pre-shrunk cotton, this tee features a soft, lightweight fabric which stretches and relaxes with wear. About the Victoria Stilwell Collection by Dog Is Good: This exclusive line of custom apparel combines the parallel passions of renowned dog trainer Victoria Stilwell and Dog is Good for celebrating and achieving the most rewarding relationships with our dogs based on mutual trust, respect and love... Positively. We all know it’s true, but sometimes you just have to shout it loud and proud: there’s no limit to the love our dogs show us. Whether we’re returning from a long trip away or just coming home after a quick trip to the grocery store, I’m always humbled by the unbridled enthusiasm my dogs show me on a daily basis. There’s no judgment, no grudge-holding, no conditions. Dogs' love truly knows no bounds, and the world would be a better place if we could all follow their lead. That’s why I partnered with my good friends at Dog is Good to design this tee shirt and decided to include it as part of our exclusive Victoria Stilwell Collection – Dogs Love Knows No Bounds. Featuring a nod towards my beloved British roots and a big beautiful bulldog, this design makes me happy every time I see it and reminds me how much my dogs mean to me, even when I'm away from home. I hope you enjoy it as much as I do! I love this shirt - I always get great compliments when I wear it. The fit is good, and I am a large woman. I wear this shirt a lot, and it's one of my favorites.